A screenshot of the iphone app. Are computers and technology making us smarter or stripping us of our ability to solves problems on our own? With a new smartphone app for the Android and iPhone, called BikeDoctor, you can tap a button and diagnose an issue with your bike. 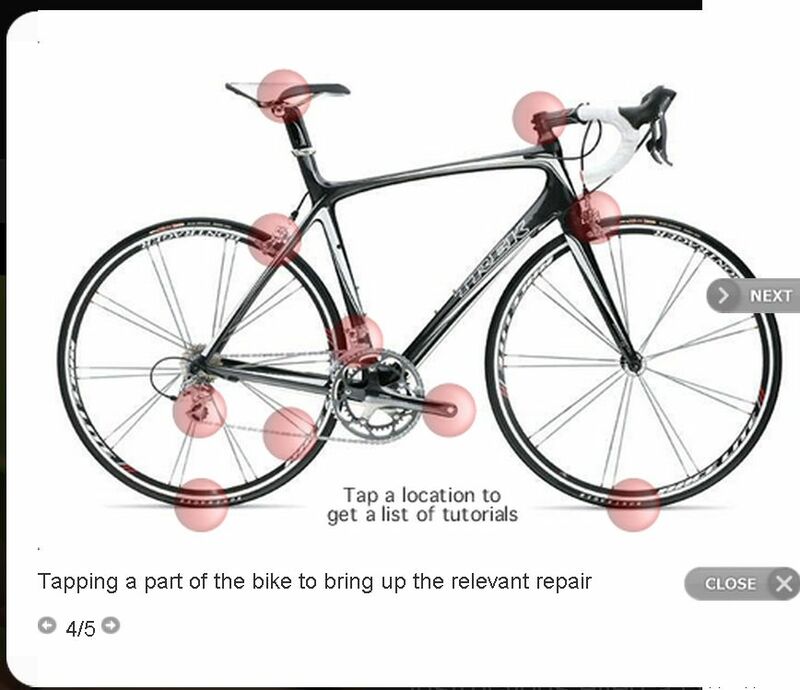 The application displays a set of issues and an image of a bike where users can click the part of their bike in need of a fix. Each step comes with an introduction, color pictures and an explanation. It includes basic repairs, like fixing a puncture, and more advanced repairs, like adjusting gears. That app covers 24 issues in all. Costing a little less than five dollars, the application could save money (you can do the repair yourself), but does pulling out a cell phone for yet another life situation take away from the fun of biking on the open road? The app may be useful for some and not others. But perhaps it risks over-confidence on the part of users, such as the recent case of drivers following their GPS systems and cell phone maps without thinking. In one case it was even deadly, and in another, a Canadian woman drove into a marsh.